Holidays are here! Kick back to nature at the Irish National Stud & Gardens as we head into the splendid summer months. Kids, families, grandparents and groups can all avail of a special day out, strolling freely around the vast 800-acre estate. Most people spend 4/5 hours enjoying the scenery, the horses, the nature or even the fairies, before fuelling up in the Pavilion or the Restaurant for a scrumptious lunch or afternoon tea. From next week, our resident pony Prince & his friends are also on duty to introduce our younger guests to the joys of pony riding. FREE pony rides are available on Wednesdays and Sundays during the school holidays. Check the times when you arrive but usually there are two sessions at 11am and then in the afternoon at 2pm. Kids and ponies go hand-in-hand and you can be sure that will be the highlight of the day! Faces can be painted too whilst they wait. 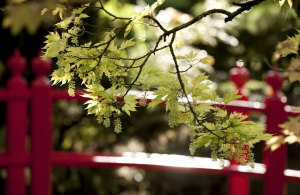 Resplendent in their beauty, the Japanese Gardens are also spectacular at this time with our iconic Bridge of Life making a magnificent focal point for your photographs. Don’t forget if you capture anything sensational, do send it in to our marketing team who may feature the image in the next calendar. St Fiachra’s Garden is at the other end of the gardening scale. A natural garden which evokes the raw landscape of Ireland’s unique history and introduces St Fiachra in bronze with the monastic cell depicting the environment in which he lived. 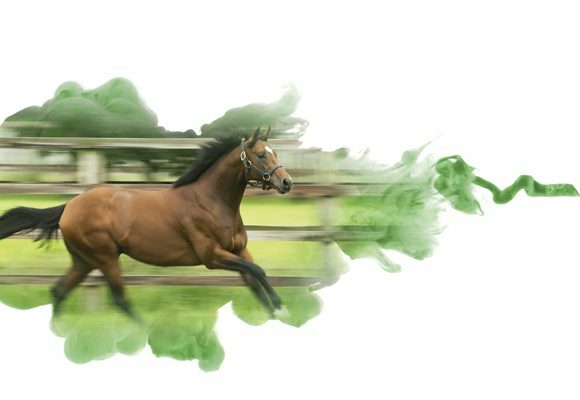 For those with a thoroughbred interest, immerse yourself in the stallions and Living Legends – those wonderful Champions who have graced our racecourses over the last few years. Kicking King, Hardy Eustace, Rite Of Passage, Beef Or Salmon and, of course, the incredible Cheltenham hero Hurricane Fly who won the Irish Champion Hurdle five times in a row! 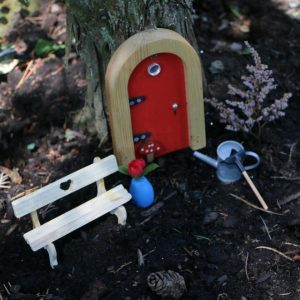 Our fairy trail will delight all the little ones with 18 residents this year and the new playground isyet another dwelling point where kids will enjoy letting off some steam. All in an enclosed area so you can relax with a coffee or ice cream from our Pavilion cafe! So pack your bags and venture up (or down) to Kildare for the day. Accessed easily from Junction 13 of the M7, it’s a fabulous Summer adventure not to be missed. Just one tip – Don’t rush it! Book online for best prices: Family day pass just €28 (for 2 adults and up to 4 kids). Season passes from €48. This price includes parking, FREE public tour, access to all gardens, Museum, Living Legends, FREE pony rides (Wednesday/Saturday) and all horses. ENJOY! Hello, can you just come for the free poney ride or do you have to buy a pass? You do need to buy a pass but a family pass allows 2 adults and 4 kids so it’s great value. There’s plenty to do and a trip will easily last 3-5 hours. Have fun! How many children does a family pass cover. Hi there, a family pass allows you to bring in 2 adults and up to 4 children. Have a great day! Hi, visiting next week. Only in the area there Thursday to Saturday and seen the free pony rides advertised on Wednesdays and Sundays but was just wondering are these pony rides available every day if we were to pay for them? My 7 year old daughter mad to ride a wee pony. So sorry but our ponies are only on duty those days. There is a riding school close by called Copper Beech Stables who do lessons if that’s any help. Hope you enjoy your visit!